Q: How do I break my hen of broodiness? If your hen has gone broody, that means she wants to hatch eggs. She'll puff up and stay in the nest---even if the eggs in there aren't fertile (she has no way of knowing), and even if there are no eggs in there at all. Plus, she'll stop laying eggs, because her body is telling her it's time to hatch some! "Breaking" a hen of broodiness means you shake her out of the "obsession" with the nest box, shaking out of the idea of hatching. 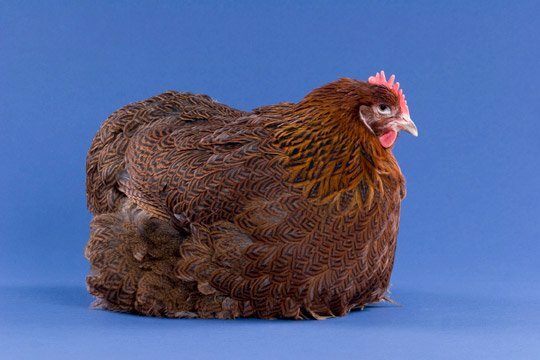 Many hens will end broodiness on their own, but some are particularly stubborn (their hormonal state is particularly acute). And while having a hen off laying for a while isn't usually a problem for pet chicken owners, the hens themselves can suffer if they stay in broodiness too long, because they tend to eat and drink less. They're set up to be able to do that fairly well for about 21 days, as long as it takes to hatch eggs. Much longer than that, though, and the hen can lose enough condition that she risks getting ill. So, breaking a hen of broodiness isn't about being greedy for eggs or being mean to your hens. In some cases it's about responsible care. But ending broodiness is sometimes far easier said than done. Cochins go broody easily. This cochin even seems to be giving the camera the stink-eye! Broodiness is a hormonal condition. Just like you can't really talk your friend out of a hormonal imbalance (or into one? ), you are not going to simply convince your hen to break out of broodiness by taking her out of the nest a time or two. 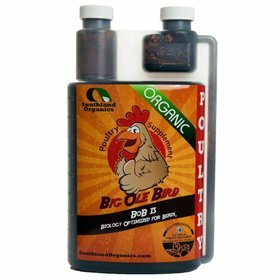 That can work if your hen is not too broody---and you're super persistent! But who has time to spend chasing a hen around for days and days? Importantly, just because it's hormonal doesn't mean there's nothing you can do. That's because certain things trigger hens to enter that hormonal state, and certain things signal them to stop. The things that can signal broodiness include having a lot of eggs built up in a dark, warm, nest. (They can also be triggered to broodiness by hearing orphaned baby chicks.) The things that can signal an END to broodiness---other than having the eggs hatched and chicks raised---include having no eggs to set on, lost of bright light, cool temperatures, and no nest. So, the question is really "how can I accomplish those conditions for my hen?" Being able to break broodiness usually involves separating a broody hen away from the rest of the flock. That makes it easier to keep her out of the comfortable, dark nests she's used to while the rest of the flock can continue with their same, familiar routine. So, you might separate her from the flock for a week or so in a wire-bottomed crate (like a dog crate) with no bedding. 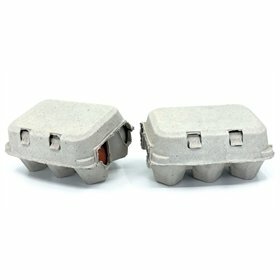 Wire bottomed cages are definitely not good for a chicken to live on long term---it doesn't wear their nails down properly, and it's pretty hard on their feet. But for a week or even three, she should be just fine. 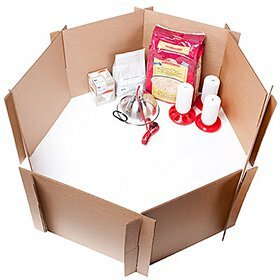 Keep the crate in a cool, bright area (and naturally provide plenty of food and water). For most breeds, that'll work to signal their bodies that NOW is not the right time for broodiness. Some breeds are more easily triggered to broodiness, and harder to phase out of it, though. 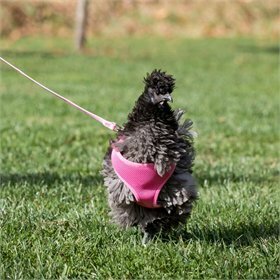 Silkies, Cochins, Orpingtons and other very broody breeds may be more difficult to break out of broodiness. 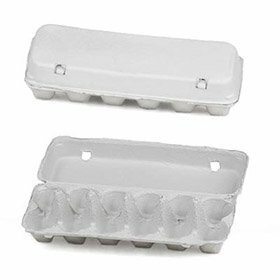 If a week in the bright, cool, nestless wire crate doesn't work, you can also try placing an ice pack in whatever corner of the crate your hen is trying to set in. If she's trying to set on your ice pack (or frozen plastic eggs?) to hatch them, that should also help. Remember: these steps won't always work. You're just trying to provide the conditions in which your hen's body would end the hormonal state of broodiness. 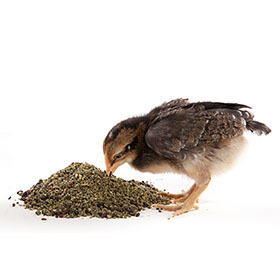 If you have a Silkie, Cochin, or Orpington, you may have an especially difficult time of it.